The invisible backbone of our food system is a man-made, distributed, and perpetual winter of refrigeration we've built for our food to live in. It has remade our entire relationship with food, for better and in some ways for worse. The time has come for us all to explore the mysteries of the artificial cryosphere. We need to understand refrigeration's scope and impact in order to take stock of what’s at stake and make sure that the many benefits of our network of thermal control outweigh the enormous costs. Nicola Twilley is writing the first comprehensive look at the global cold chain, due out in 02019. 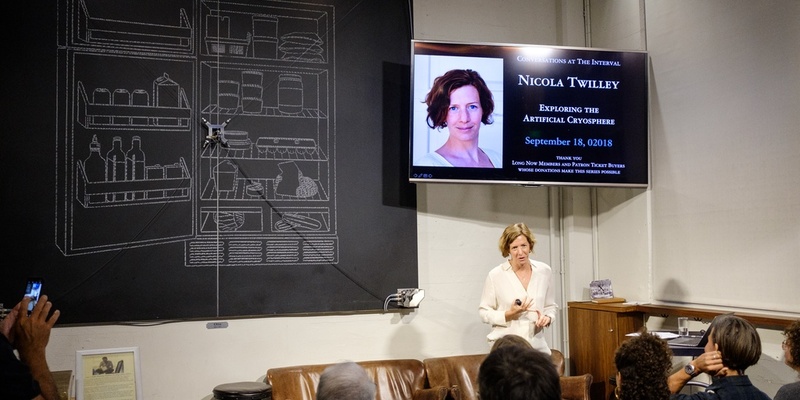 Nicola Twilley is a frequent contributor to The New Yorker magazine and a co-host of the podcast "Gastropod." She is at work on two books: one about refrigeration and the other on quarantine. She blogs at EdibleGeography.com.